Four Christians were falsely accused of blasphemy last week in the latest religious persecution case to grip Pakistan’s embattled faith community. The four women, who were from the Farooq-e-Azam neighborhood of Karachi, were accused on Feb. 19 and then immediately attacked by an Islamic mob, who caused around 200 Christian families to flee the local area as a result of their violence. What led to the accusations? Back in January, Muslim couple Fayaz and Samina Riaz were asked to leave their rented accommodation by their Christian landlord. According to Christian persecution watchdog International Christian Concern, the pair had been “causing trouble among the Christian families in the community” and were politely asked to leave. A month later, Samina Riaz accused four Christian women, including three of the landlord’s daughters, of desecrating the Qu’ran, the Muslim holy book. 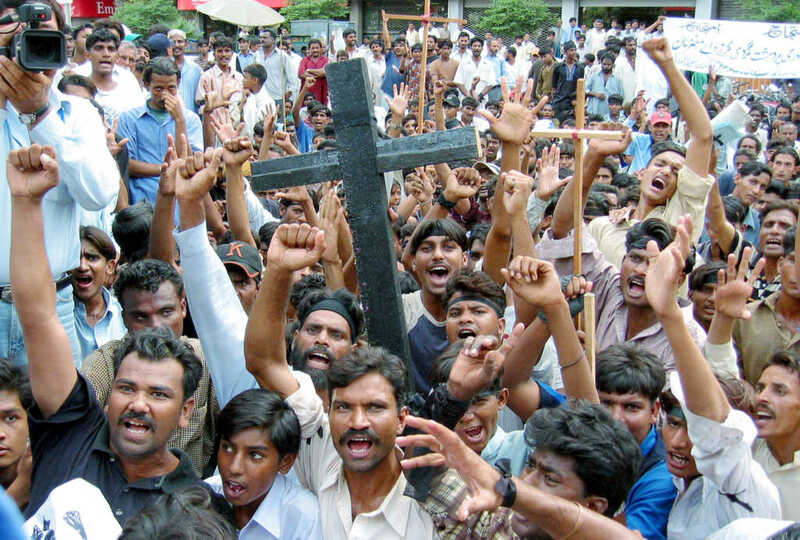 The local Islamic community was sent into a frenzied rage, with many attacking the local Christian neighborhood of Farooq-e-Azam and forcing many families to flee their homes. Despite the police regaining control of the area, many members of the mob are still preventing the Christians from opening up their churches. The allegations made by the Muslim couple were totally false, according to local police. Riaz later admitted to piecing together the entire incident and was arrested alongside her husband. The damage, however, had already been done. According to ICC, over the past three decades, more than 1,500 individuals have been accused of committing blasphemy in Pakistan. Perhaps most notable has been the case of Asia Bibi, who spent almost a decade on death row for allegedly insulting the prophet Muhammad. Bibi was finally acquitted by Pakistan’s supreme court, but still remains holed up in her home country which has caused her so much suffering. Bibi has been offered asylum in Canada, but her paperwork is being delayed by Pakistani authorities while they seek to attain assurances from her that she won’t speak ill of the country upon release.